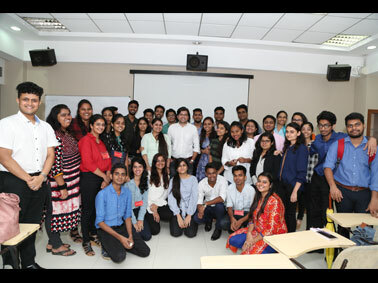 Mr. D. Girish, Content Head at Spull Entertainment, delivered an amazing lecture on the Overview of Indian Media Business for our Post Graduate Diploma in Advertising, Entertainment, Journalism and Digital Marketing students on 10 August 2018. He explained OTT (Over the Top) and cellphone platforms in great detail. This was followed by introduction to cellular platforms and their emergence as an important source of information. He informed the PG in mass media students regarding interactive feedback of the audiences which can be assessed on these platforms, helping us improve the quality of the content. 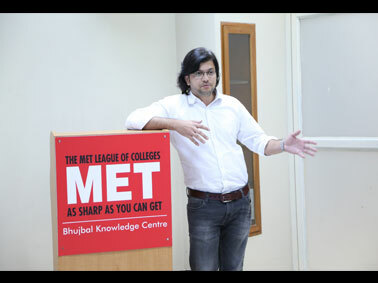 Mr. D. Girish resolved all the doubts and queries of our students regarding the Indian Media Business.